Reports from Kenya indicate that one person has died after suffering from Rift Valley Fever (RVF). Authorities in Siyaya County told a local radio station that tests confirmed that the 20-year old, who was a fisherman at Lake Kanyaboli, succumbed to the fever. Following this case, Kenya livestock department has also taken samples from the animals in the area for advanced test at Kabete in Nairobi. 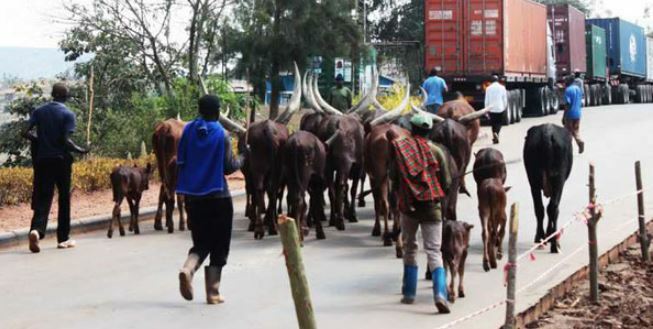 Rwanda had earlier placed livestock in Ngoma, Kirehe and Kayonza districts under quarantine after the rift valley fever. Humans get infected through contact with infected animal blood or organs. Butchering and slaughtering of animals is a primary cause of transmission to humans. Certain occupations are at a higher risk of getting Rift Valley Fever like farmers, herders and veterinarians. Most cases of Rift Valley Fever are mild and symptoms include fever, headaches and muscle pain.